Large or small, we do it all. We work with you to customize the perfect package for your audience, occasion and budget. Seated – The presentation can be as formal or informal as you prefer. 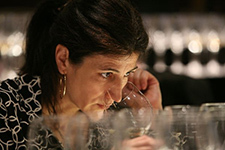 This format allows for an emphasis on wine education. It’s ideal for smaller groups. 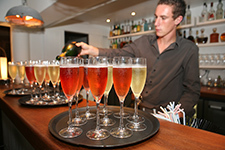 Cocktail Party – A wine station is set-up with various wines and suggested order to taste. This set-up allows guests to try wine at their own pace, encourages mingling and provides a good bit of interaction between the wine educator and guests. 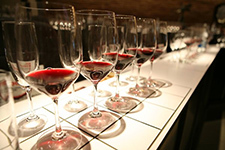 Typically, the actual tasting lasts for about 2 hours and includes 6-10 wines. We love to get behind the story of the wines – what drives the wine maker to do what he or she does, the history of that particular vineyard, etc., so expect a little bit of story telling. Tastings can happen in a venue of your choice, your office, or in a venue we help you secure. Available upon request. Contact us for any inquiries.